Jay Wallace was elected to Vice President of Customer Service by the Siemer Milling Board of Directors at its annual organizational meeting on August 25, 2017. “Jay has been exceptional in his performance as our Senior Account Executive and will continue to bring a high level of initiative and knowledge to Siemer Milling,” adds Siemer. Wallace began his career with Siemer Milling in October 1998 as a sales representative. His responsibilities now involve leading the Customer Service and Logistics team. 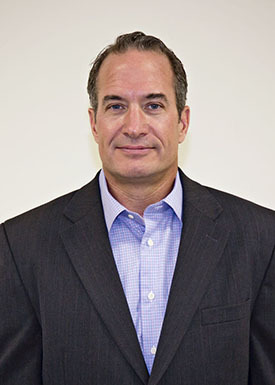 In addition to extensive company experience, Wallace’s background includes a B.S. degree in Agribusiness from Illinois State University and the Illinois Agricultural Leadership program in 2006. A native of Cerro Gordo, Wallace currently resides in Effingham. He is active in the community, serving as Past Effingham County United Way President and Board Member, Effingham County Chamber of Commerce committee member and member of Sunrise Rotary. Siemer Milling Company is a family and employee-owned company founded in 1882. Today, it employs more than 160 people at wheat milling operations in Teutopolis, IL, West Harrison, IN and Hopkinsville, KY.